Jscrambler provides enterprise-grade security solutions that secure the client-side of web and mobile applications. Jscrambler's Webpage Integrity module provides real-time visibility of client-side attacks, including DOM tampering, supply chain attacks, and customer hijacking. The Jscrambler dashboard displays precise and actionable detail of the injected code to enable a swift response. Webpage Integrity is a truly agentless solution which can easily be integrated into any SIEM. All Jscrambler products are fully compliant with all the main tech frameworks and stacks, including HTML5, Node.js, React, Angular, Vue, Meteor, Ember, React Native, Ionic, and NativeScript. Trusted by the Fortune 500 and over 43.000 companies and individuals across 145 countries. There are currently no reviews of Jscrambler. Jscrambler offers different plans depending on the project requirements, on-premises requirement, features needed, number of protections and number of files that each user requires. The Code Integrity and Webpage Integrity plans are custom-made, while the Startup plan has a fixed fee. Below are some frequently asked questions for Jscrambler. Q. What type of pricing plans does Jscrambler offer? Q. 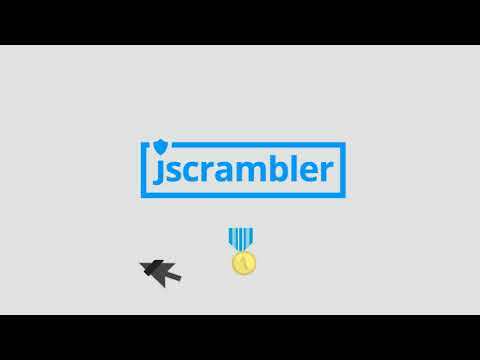 Who are the typical users of Jscrambler? Q. What languages does Jscrambler support? Q. Does Jscrambler support mobile devices? Q. Does Jscrambler offer an API? No, Jscrambler does not have an API available. Q. What other apps does Jscrambler integrate with? Q. What level of support does Jscrambler offer? Q. Which apps is Jscrambler compared to most often?